After my self-exile in Ubud, I went down to a coastal village southeast of Bali. I know Kuta is the cheaper option but I don't think I want a chaotic and overcrowded beach at the moment. I wanted my beach to be as tranquil and as laid-back as possible. 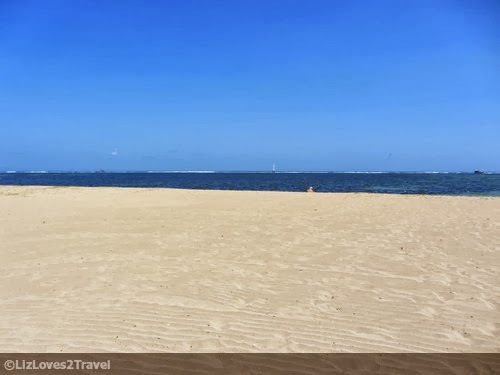 So I headed to Sanur. Ubud to Sanur takes 45 minutes. 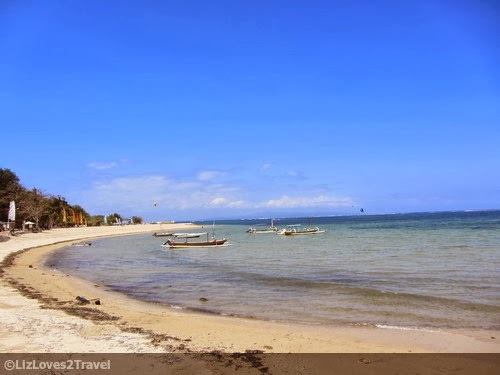 In my case, it took about an hour because the shuttle service I took just dropped us off the port where you can take boats going to the Gili Islands. I still had to take a taxi going to my hostel because it is 5 kms away from the port. I thought it was door to door. Ugh. 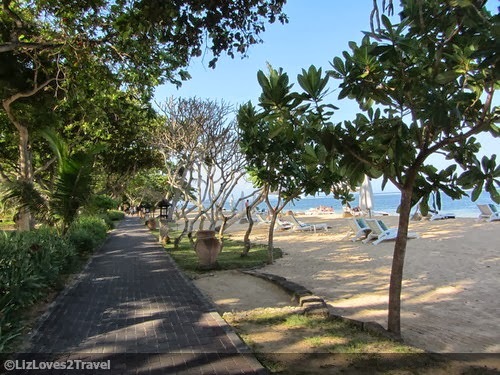 Sanur has a lot of hotels and villa resorts by the beach, all of them upscale. Maybe that's why it attracts more middle-aged and more mature travelers. 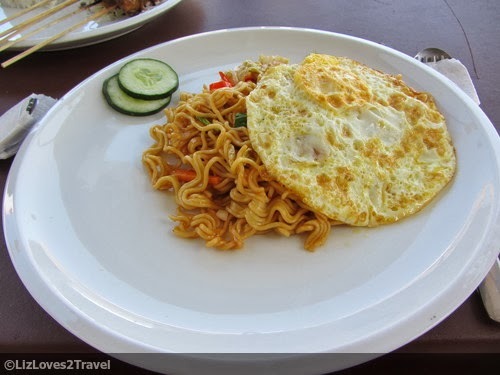 There are only a few backpacker's hostels in this area and most of them are quite distant from the beach. Because of that, it turns out to be quiet and more chill. 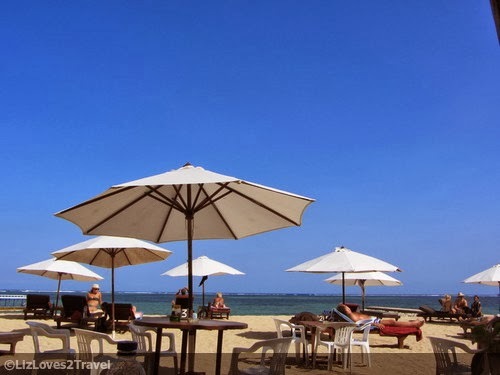 One thing I noticed about Sanur was how clear the skies were. 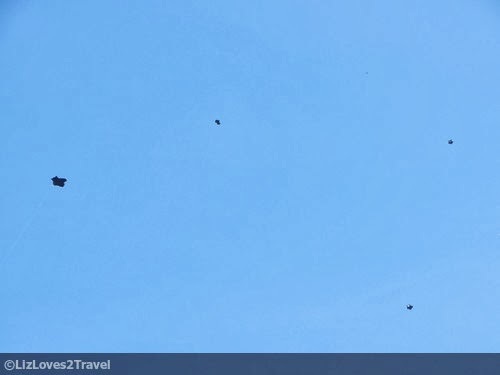 It was almost cloudless. 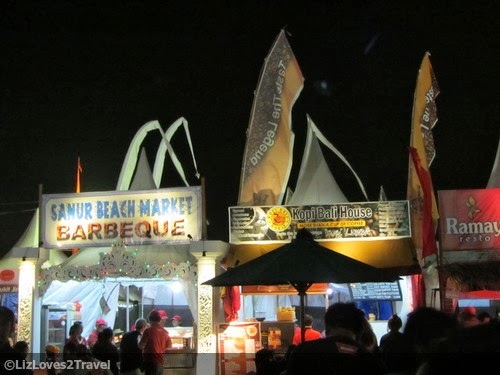 There are many restaurants along the beach. Not all of them are expensive, thank goodness haha. It caters to all sorts of travelers. And you got this for a view while eating. Not bad. 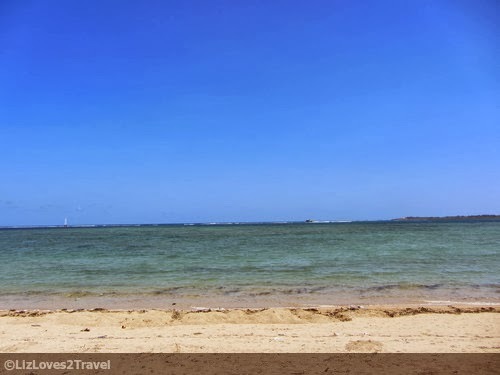 As you walk along the beach, you will also see some souvenir stores and a lot of tour agencies. You can check their rates one by one and deal with the one who can give you the cheapest rate. 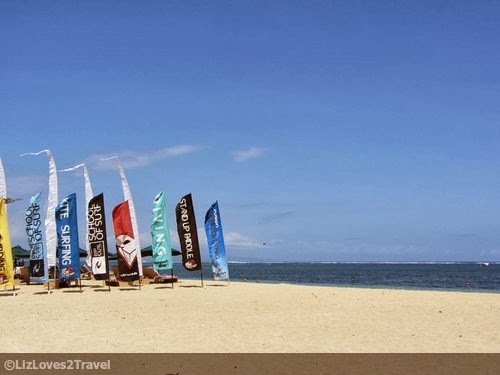 There are actually not too many things you can do in Sanur. 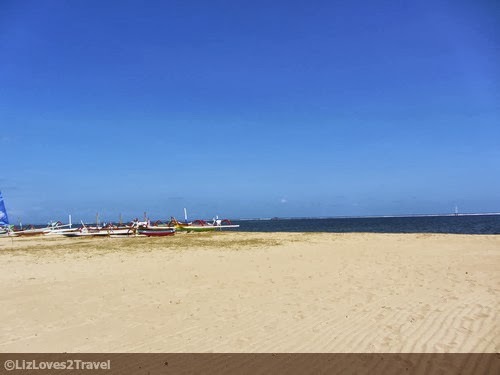 Aside from the obvious which is to swim and lounge around the beach, you may take a walk or rent a bike to go around. You may also try some water sports or book a dive with one of the tour operators. 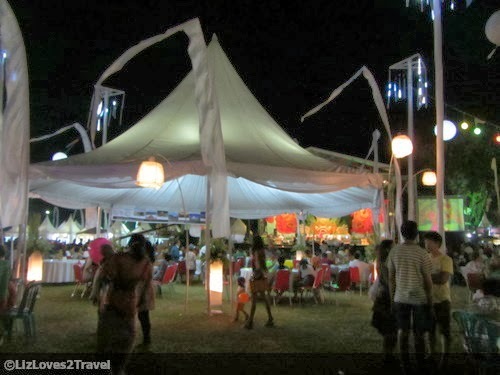 When I was there, the 8th Sanur Village Festival is currently ongoing. A friend from Couchsurfing invited me to come with them to the festival. 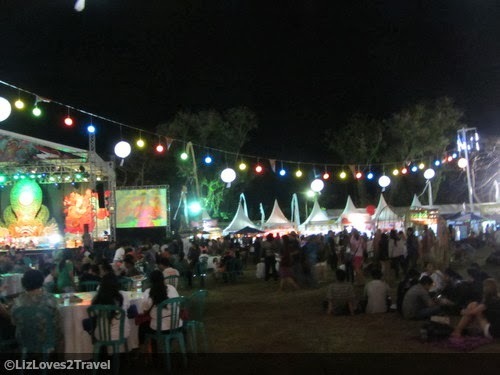 They picked me up from my hostel at around 6:00pm then headed straight to Inna Grand Bali Beach where it is being held. It was set up like any other fairs. There are tents, tables and chairs, a wide selection of local food shops, fun games and what not. 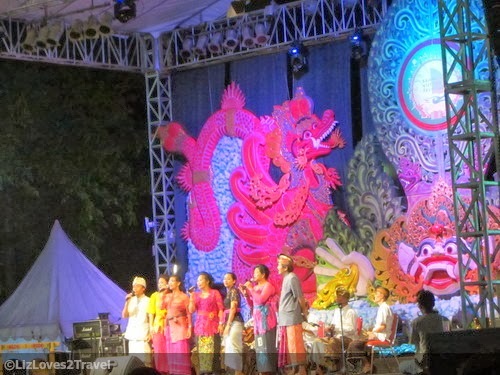 There was a big stage in front where you can watch traditional performances from the local villagers. We didn't stay that long at the festival. They also didn't like the food being sold there at the time, so we just went to the restaurant where the rest of their friends were. 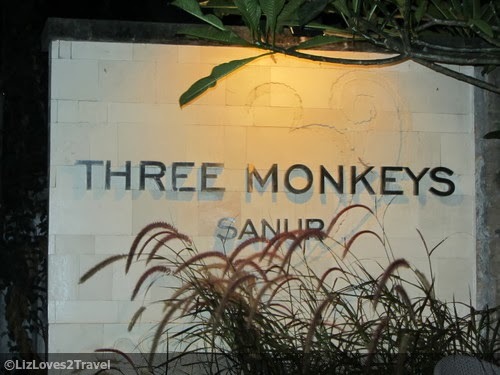 We went to the Three Monkeys Sanur restaurant. 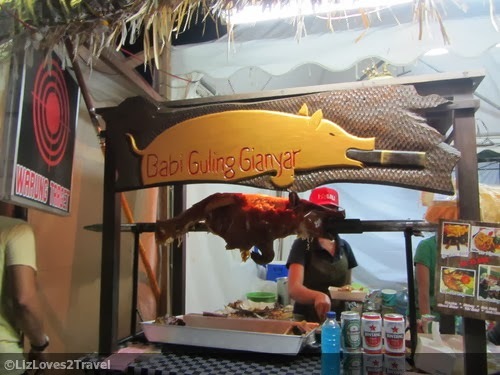 They also have one in Ubud. It is a little bit on the expensive side but its modern cozy interior and cool ambience make up for it. They say the food is good too but I guess I can't agree to that because I've only eaten there once. I can say that the service is good though. 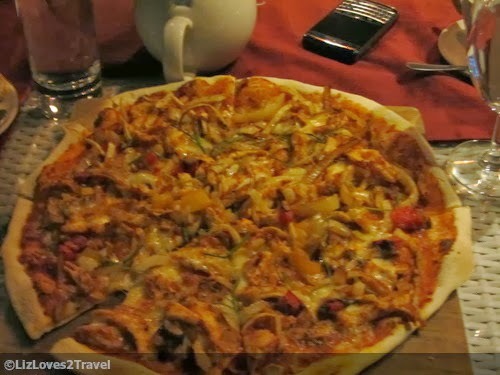 As for the pizza, it has a very Balinese flavor. It was okay but not really commendable. By the way, I found it a little odd that I was the only one who ordered soda. All of them had tea. I mean, who drinks hot tea when eating pizza? Apparently, they do hehe. Maybe the Philippines was just too Westernized (make it Americanized), that we adopted their soda-drinking habit. I think we're the only Asians who doesn't like tea too much. Suzana treated me for dinner. She told me to just treat her too when she visits Manila. Yay! These people are very nice. One of her friends even told me that if ever I'll come back to Bali, I could just stay in their place. So sweet. 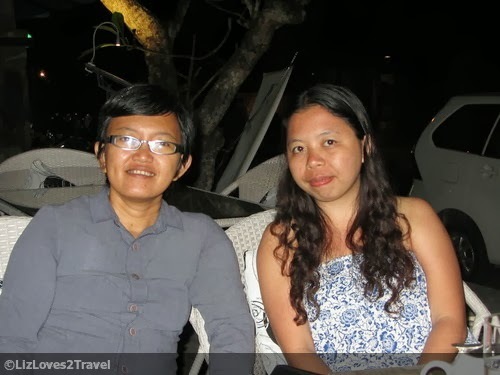 When dinner and stories are over, they took me for a drive around Bali. It feels so nice when you can make people whom you barely knew laugh and be happy with them at that fleeting moment. That was a super fun night. That's one of the reasons why I love traveling solo. It gives you ample of time and freedom to meet more people and make new friends. You just have to be your cool awesome self and everything else will follow. 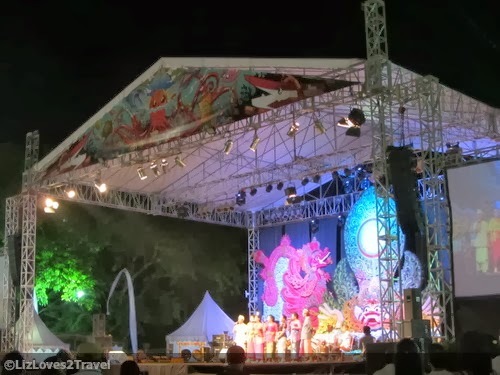 This is Part 5 of my Bali travel series.